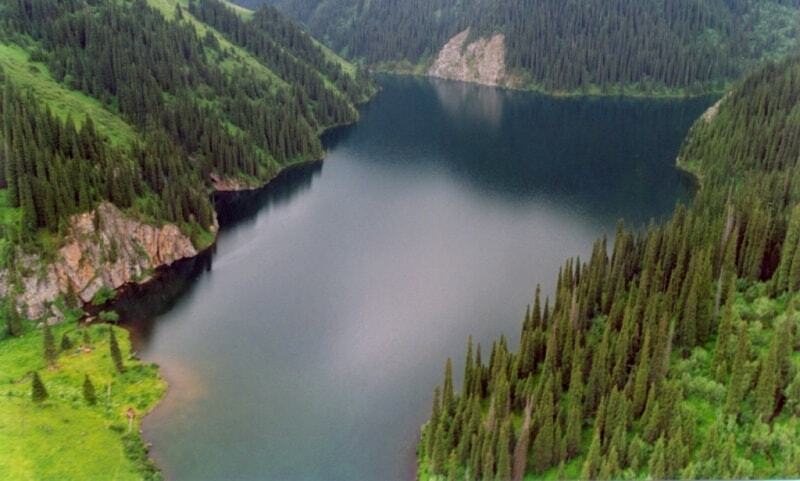 The middle Kolsai lake 2252 meters above sea level the largest and most beautiful, is 5 km from the first lake. The highest of the Kolsais is 4 km further and 600 m higher up. 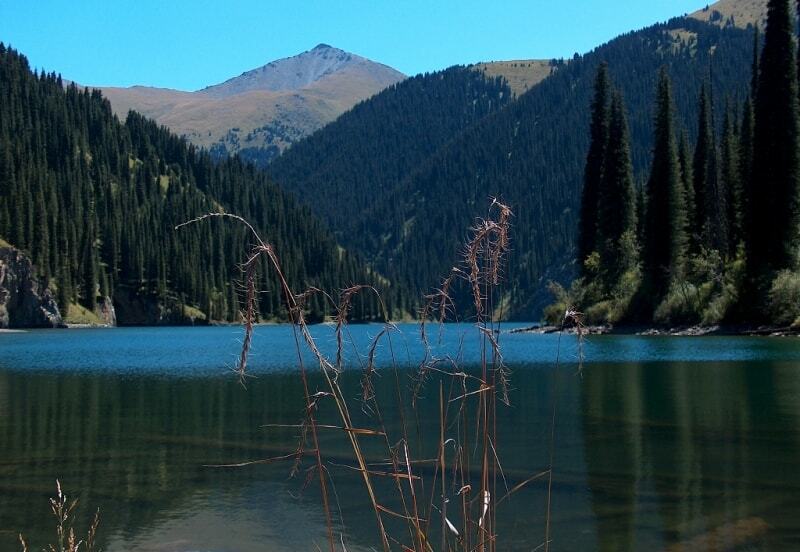 After another 6 km you reach the Sary-Вulak Pass 3278 meters above sea level on the Kyrgyzstan border, with superb views over the blue Lake Issyk-Kul. The whole 25-km trail can be covered in а day on horseback or three days on foot. The lakes are teeming with trout. 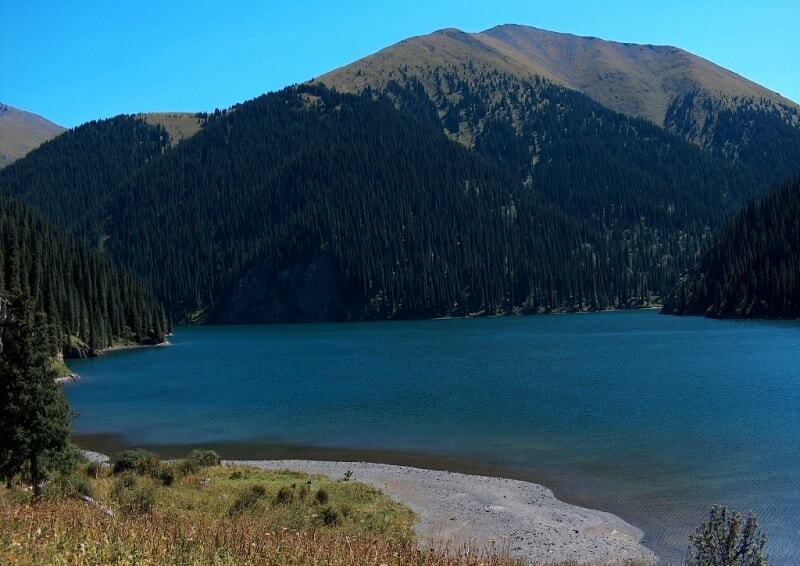 The second (Middle or Mynzhylki) lake is the most beautiful one among all Kolsay lakes. Trekking on foot will take 2,5 - 3 hours, though one may choose to get here on a horse. As per microbio­logical tests, the water in mountain rivers is crystal clear. 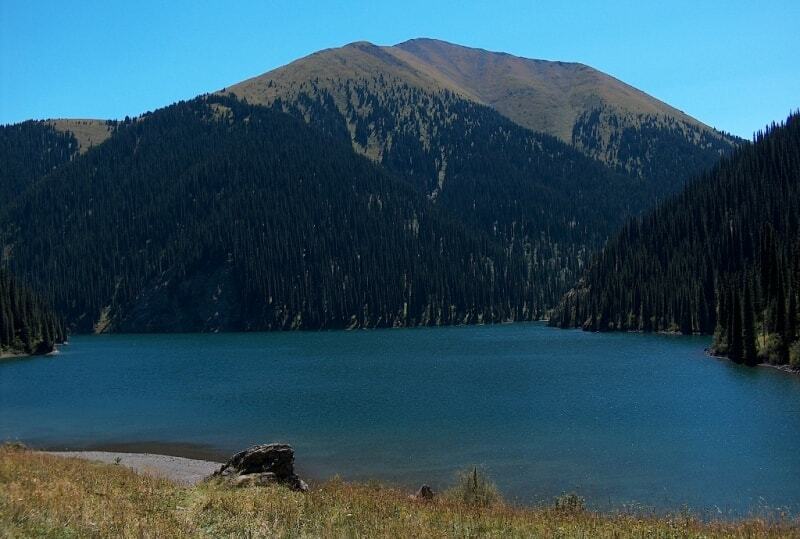 There is a valley in the lower part of the lake, which is suitable for camping. The Middle Lake is 50 meters deep. 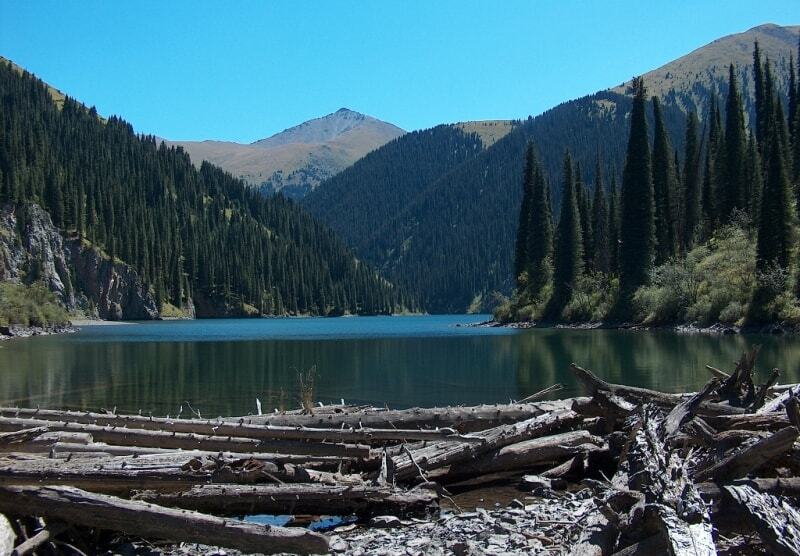 What catches the eye when one approaches the lake is the num­ber of fallen fir trees, which form a natural dam. As you keep walking, you understand that the lake has not revealed all its beauty just yet. The green lakeshores are thickly covered with various Alpine flowers, among which the fragrant edelweiss grows. The encyclopedia of Kazakhstan, 1996. and the material for this page is taken from the printed edition. "Guide to Kazakhstan" BAUR Publishing House 2002.